Fender’s American Professional line has been warmly received, but for this year’s Fender Special Run, the California guitar co is crossing our palms with Silverburst. 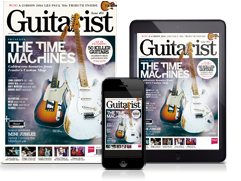 The eternally cool finish adorns three classic outlines: Stratocaster HSS (£1,479), Telecaster Deluxe (£1,539) and Jazzmaster (£1,619), which now appear in this limited-edition guise. It’s interesting to note that all three now feature ebony fingerboards, as opposed to the original’s rosewood - part of Fender’s recent fingerboard changes as a result of CITES. Elsewhere, the models retain their original spec, which includes V-Mod single coils and Shawbucker humbuckers, plus alder bodies and the new ‘deep C’ neck shape. 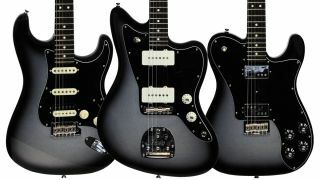 All three models are available now - head over to Fender for more info.